Anna has been a competitive athlete most of her life with an athletic background in rowing, netball and half ironman distance triathlon. Always on the look out for a challenge Anna discovered CrossFit whilst at university nearly 6 years ago now and it has been a part of her life ever since. Anna's CrossFit journey has seen her take part in the CrossFit Games Pacific Regionals in 2013 as a member of the CrossFit New Zealand Team placing 9th. Anna has a soft spot for Strongman and Olympic Weightlifting where she has also competed at a National level earning a podium finishing total in her weight class at the 2013 OWNZ Nationals. But as a coach, it wasn't until completing a stint of coaching CrossFit in Queensland, Australia that Anna really discovered her passion and drive for coaching and helping people realize the benefits of CrossFit style strength and conditioning. 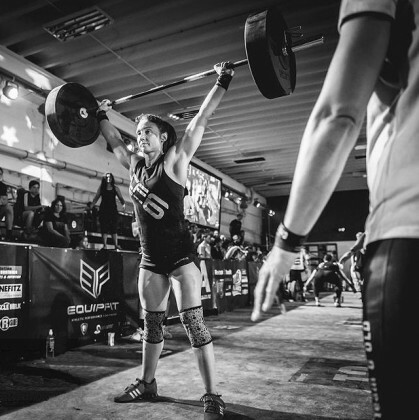 The former lawyer soon returned home to New Zealand to take on her calling as the new Head Coach and owner of CrossFit 3216 with her husband Andre. Anna prides herself in being a patient coach who thrives on motivating people to be their best. A big driver for Anna as a coach is ensuring that athletes prioritize correct technique by placing an emphasis on good bio-mechanics and movement. She loves working with athletes of all ages; levels of ability and experience. Anna especially loves to create a positive and friendly environment for the community of athletes that call CrossFit 3216 home.